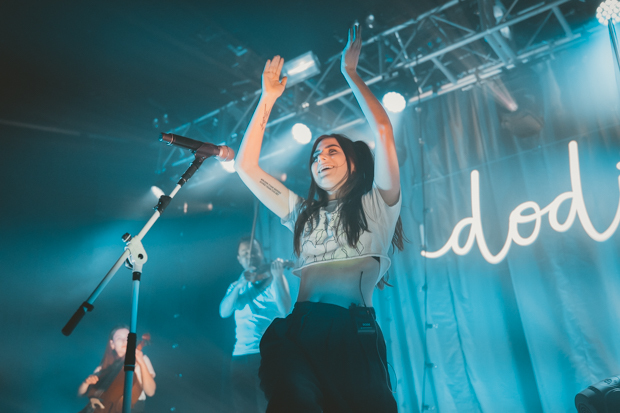 Dodie has proved that social media is a powerful tool in today’s music industry. She started sharing her songs on Youtube in 2015 and since then has won YouTube Musician of the Year and her Human EP debuted at No.3 on the Billboard Emerging Artists Charts. Not to mention her 1.8 million YouTube Subscribers and 1 million Instagram followers… Dodie is ‘Internet famous’ and the crowd tonight proves that. Collaborating with many YouTube artists, it wasn’t a surprise that Orla Gartland was one of Dodie’s support act. The size of the crowd at 7:30pm made it clear that Gartland was highly anticipated tonight, warming up the crowd, getting them from standing to jumping around in her final track ‘Flatline’. Kawala pick up where Orla Gartland left off, set to send the Bristol crowd away from the dreary March night outside straight to the California beaches, with their upbeat singles ‘Do It Like You Do’ and ‘Funky’ where you can hear glimpses of artists such as St Lucia, Ghost Beach and Saint Raymond. Kawala mix these upbeat dance tracks with slow, simple track ‘Mighty River’, where Jim Higsons (Lead Vocal) and Daniel McCarthy’s (Guitar, Vocals) harmonies can really be appreciated with no note out of place; their voices blend perfectly together in front of the sold out O2 Academy Bristol tonight. First time I have seen Kawala and they will definitely be going on my summer playlist. 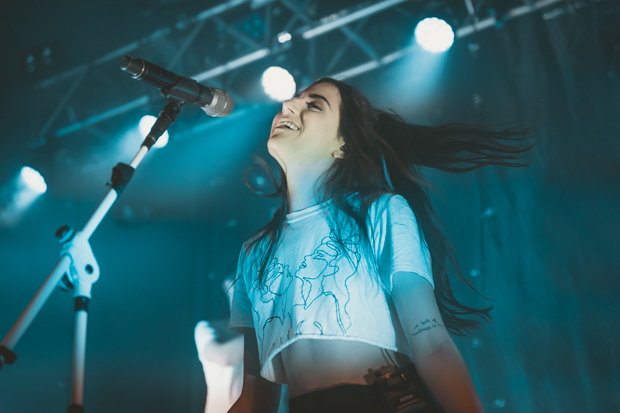 It isn’t long until Dodie walks onto a dark stage into a single spotlight performing her first track from the Human EP – ‘Arms Unfolding’ – but as soon as the track finishes, Dodie’s bubbly personality is unleashed, when she performs ‘Monster’ dancing around the stage, flicking her hair back and forth getting her crowd to clap on cue. Dodie describes her music as her life’s diary entries: “I can take hard experiences in my life, and make something out it… It’s nice to see these diary entries”, and people here tonight want to hear that, telling the noisy crowd members to ‘shut up’ to make the O2 silent for ‘Human’. The crowd know all the words to ‘If I’m Being Honest’ and even Dodie expresses how “it’s a weird song to sing when everyone is shouting nice things about you” and stays on her piano for ‘6/10’, which is a beautiful combination of cinematic strings and piano. 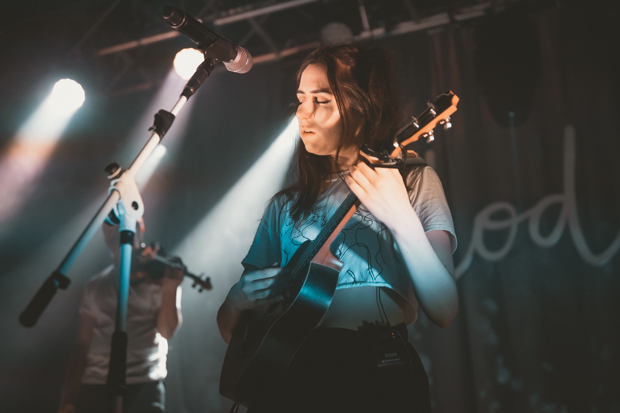 Following is the heart-wrenching ‘Sick Of Losing Soulmates’ written about Dodie’s best friend and ‘Not What I’m meant for’ originally sung with Lewis Watson. During ‘She’ the crowd is lit up with bright gold lights where Dodie finishes with a simple “Thank you, you all look beautiful” and gives her own advice for people going through the same situation as her. 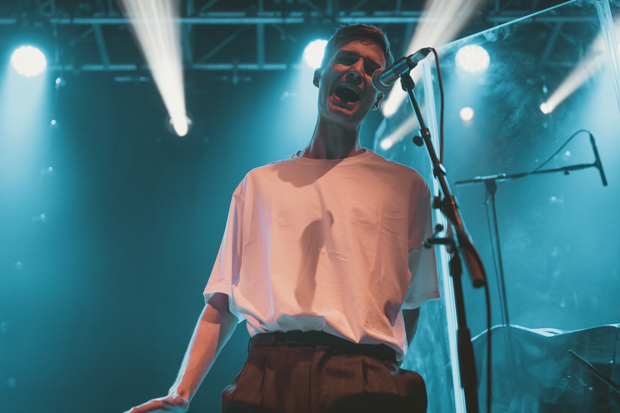 The crowd then gets to hear the jazz-like ‘Why Did It Have To Be You’ featuring a fun violin solo from Will Harvey as Dodie shouts ‘WE LOVE THE VIOLIN’ and the crowd responds with cheers. 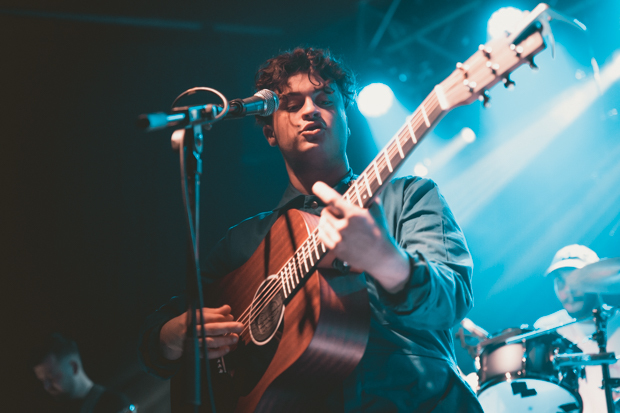 ‘Rainbow’ receives rainbow lighting from the O2, a track originally recorded and uploaded from her bedroom in 2018 on a lone ukulele about hardship in the LGBTQ+ community and how important pride is. Everyone knows the words and everyone sings along. 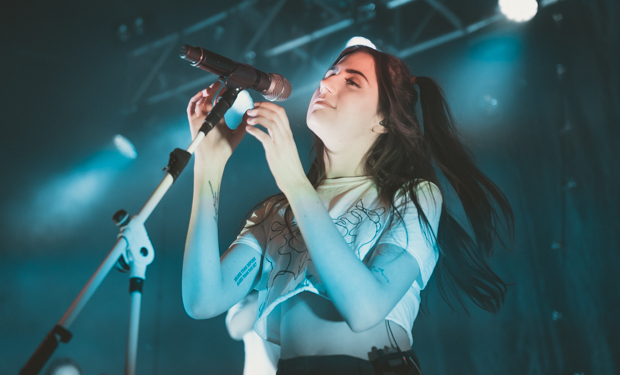 Dodie treats the crowd to a brand new track, before going into the popular ‘Party Tattoos’, getting the crowd to sing louder with every chorus, before introducing the emotional piano piece ‘When’ with “this song is about something beautiful coming out of something so painful”. She finishes with upbeat tracks ‘Absolutely Smitten’ and ‘Would You Be So kind’. Dodie has an amazing ability to make beautiful music out of her hard times, songs that relate to a lot people, which was apparent in the crowd tonight with everyone knowing every line of every song. She has clearly built a loyal following of fans and has helped many people. Beautiful. And this isn’t even her first album. I can’t wait to see what she comes up with next.